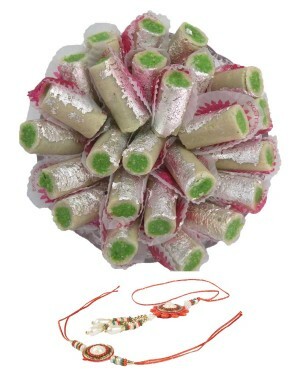 Get a Special rakhi on the occasion of Raksha Bandhan. Kaju rolls is a very popular and special recipe. Perfect choice to your dears to make them Happier on Festivals and on all Occasion.